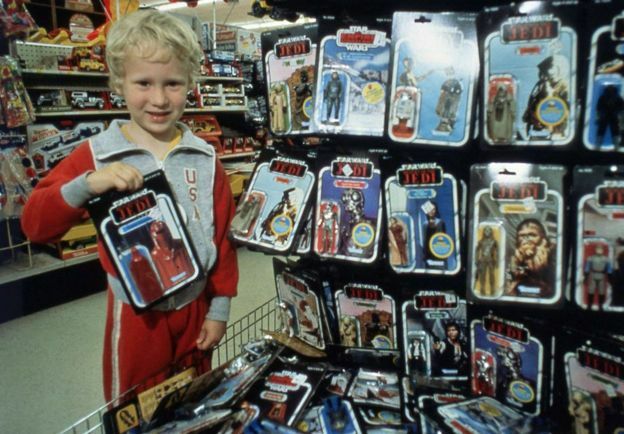 Many people regret selling their Star Wars toys from the original movies that they collected as children. The BBC News website reports that so did Richard Fenton-Smith a child of the Seventies and Eighties. Richard was almost born at the perfect time to become a devoted Star Wars fan as he was just five years old when the first movie was released in 1977. 1977 was a big year for me. I turned five and not only got to play Joseph in the school nativity play but also got to wear a red, white and blue top hat at the school tea party celebrating the Queen’s Silver Jubilee. Then, in the December, Star Wars was released. As was the case for many boys (and some girls) my age, it became an obsession. 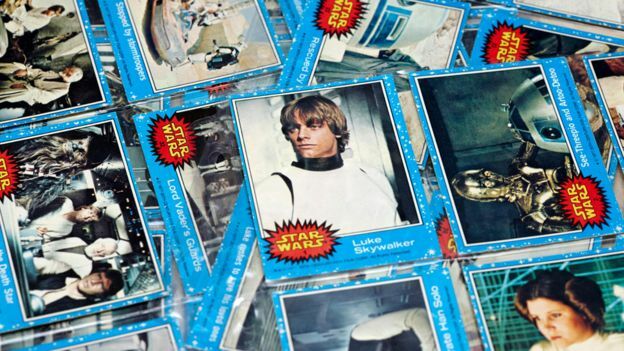 School playtime was spent swapping Star Wars bubble gum cards and weekends were for re-enacting your favourite scene with an ever-increasing toy collection. And I had a lot of Star Wars toys, a collection that grew and grew with every film release. I had the Cantina Adventure Set. I had the Rebel Transporter. I had armies of figures. Collecting Star Wars toys could get a bit competitive but there was nothing like that feeling of casually pulling out a new droid when friends came over to play. They were fickle times, too, with kids you didn’t really know suddenly becoming friendly when word got out that you had the new Hoth Wampa with spring-loaded arms – perfect for battering the life out of Luke Skywalker (but only the Luke Skywalker figure in Hoth Battle Gear, because using your Jedi Knight Luke Skywalker was just weird). 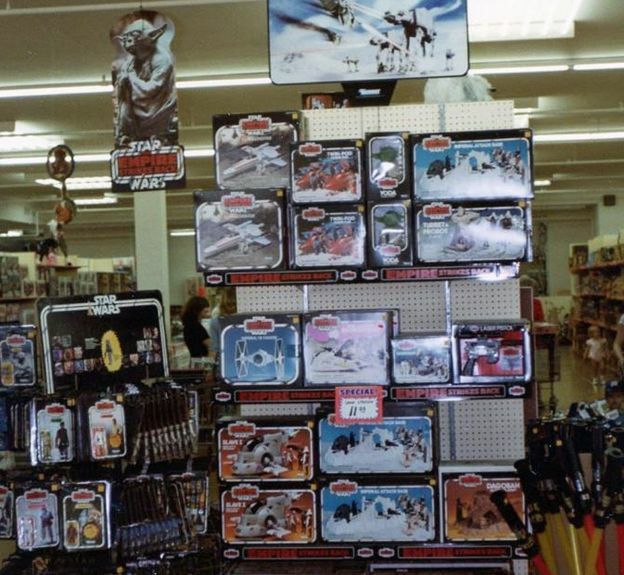 I had an encyclopaedic knowledge of every Star Wars toy on the market and a long list of “wants”, planning out all the birthday and Christmas presents I was going to beg for, for years to come. 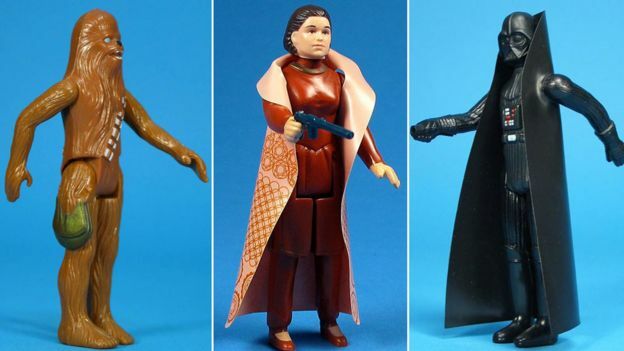 Star Wars toys were my life… and then I sold them. I sold them to buy a ZX Spectrum computer (the 48k model). I am not alone in having made this awful decision. My brother-in-law did the same, as did friends. We all regret it. In fact, the topic comes up in conversation quite a bit. It’s made worse when you’re in the company of that one friend who smugly informs you that they still have all theirs, in the original boxes. Mine were in their boxes, too. First and foremost, they were and still are cool. Second, maybe there’s a tiny bit of me which has that hipster mentality of being able to say that I was there first. And then third, collecting Star Wars toys was hard work. There was no Amazon. There was no eBay. 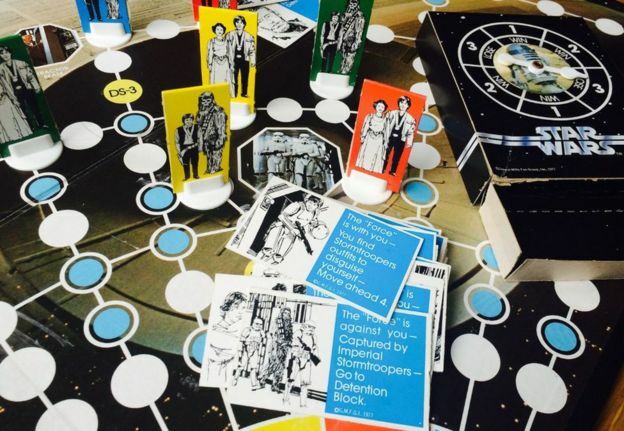 Instead me and my friends trudged around the same circuit of toy shops – in my case Zodiac Toys in Woolwich, Nuxley Toys in Welling, and various local branches of Woolworths. All gone. Having spent weeks saving pocket money and coveting the list of figures found on the boxes of previous purchases, expectations were always high come Saturday morning’s excursion to the local shops. This was the day I would find that elusive figure of Princess Leia in her Bespin Gown (though more often than not I only found a bucket full of Darth Vaders and Chewbaccas). 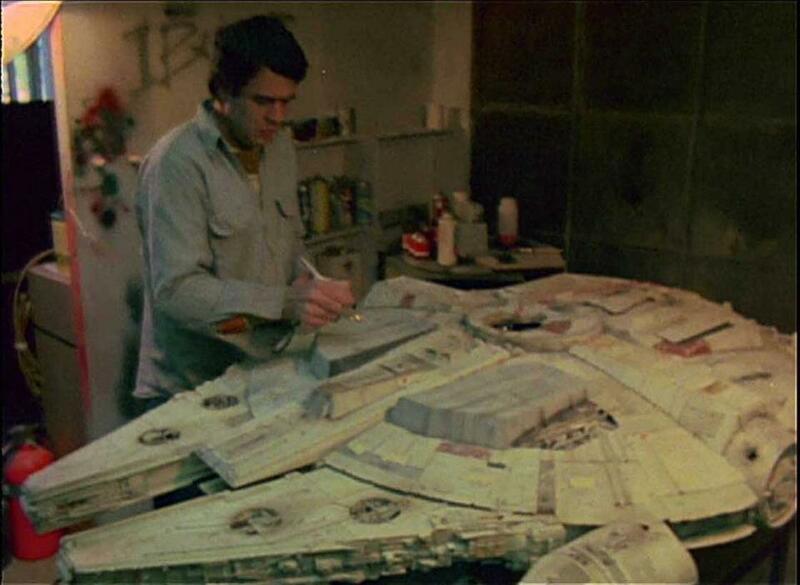 The must-have Star Wars toys were so hard to find that I remember finally getting my 1980 Christmas present of a Millennium Falcon three months late, in March, because my dad couldn’t find one anywhere. So it makes it all the more strange that I would give them up so easily. It wasn’t my parents fault – they didn’t make me sell them. I clearly remember my dad asking me: “Are you sure you want to sell them? Are you really sure?” He had been through a similar trauma when his mother got rid of his Dinky toys. 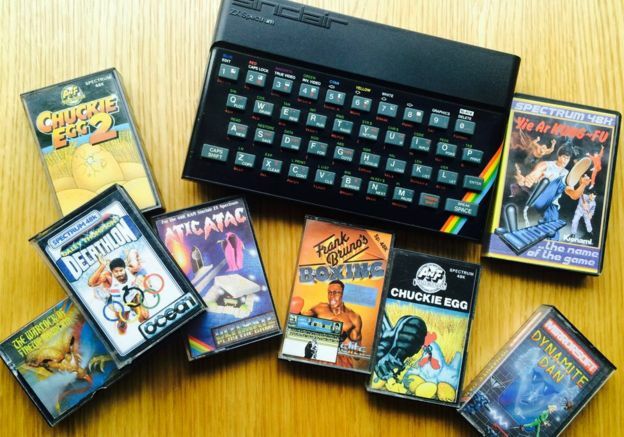 But I was going to get a ZX Spectrum and Frank Bruno’s Boxing and Chuckie Egg. And while I did get a lot out of that computer (which I did not sell and still own) it’s not the same as having my Star Wars toys. For years, people would tell me “they’re worth a fortune now”. Fortunately, that’s not quite the case. Some items might creep into triple figures, but the early US ones are worth more than the European versions. Over the years, I have contemplated re-instating my collection, but have held off because whatever I picked up on eBay would not truly be mine. 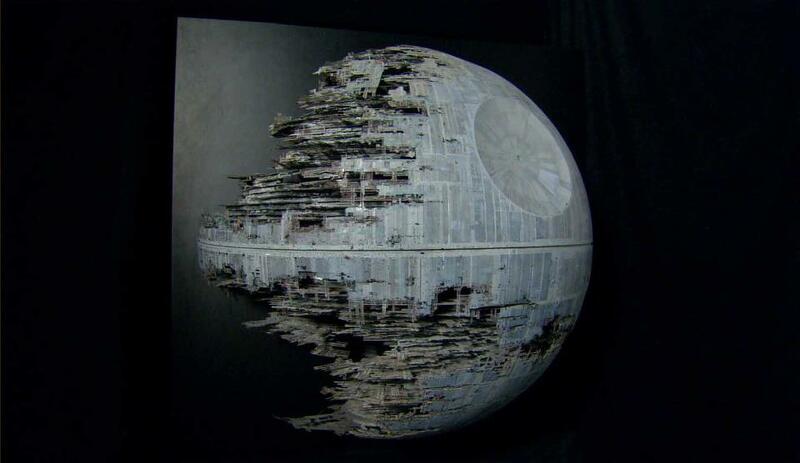 I did shell out nearly £300 on a Lego Death Star, though – which remains unbuilt to this day. The sadness of surrendering such a big part of my childhood has come to the fore again with the release of Episode VII – something I didn’t really feel when George Lucas rebooted the franchise with The Phantom Menace back in 1999. I remain indifferent about that second trilogy, and to this day have still not watched Revenge of the Sith. Although, for the record, I am not one of those miserabilists who claims George Lucas “ruined” Star Wars. Yet, when I watched the first trailer for Star Wars: The Force Awakens, I got strangely emotional. This was the Star Wars I remembered from my childhood and it summoned up all the excitement I felt when I was five and watching it for the first time. Seeing shops stacked floor to ceiling with toys from the new film, a little bit of me is envious of those children who are about to discover Star Wars for the first time (even though the internet has perhaps taken the joy out of collecting). For parents, though, I will say one thing – if your child suddenly wants to get rid of a set of toys they’ve obsessively collected, don’t let them. Keep them. Hide them if you must. Because one day they will want them back. Brand new TV Spot of Star Wars The Force Awakens has been released by Disney. Yet more new footage is released which shows more dialogue from Finn and Rey and of course Han Solo. Also included is a quick shot of Solo shooting his blaster and Rey and Finn getting thrown to the ground from an explosion. Funny Francis Reacts Watching the Star Wars Trailer! Hilarity ensues when Francis a self confessed Disney hater, watches the Force Awakens Trailer! Is the LAAT/i the best Star Wars Republic Gunship? The Republic Gunship LAAT i is the infantry variant of the Star Wars LAAT Gunship. The Galactic Republic’s LAAT i (Low Altitude Assaults Transport/infantry) aerial laat Republic gunships play a vital role in the Battle of Geonosis. 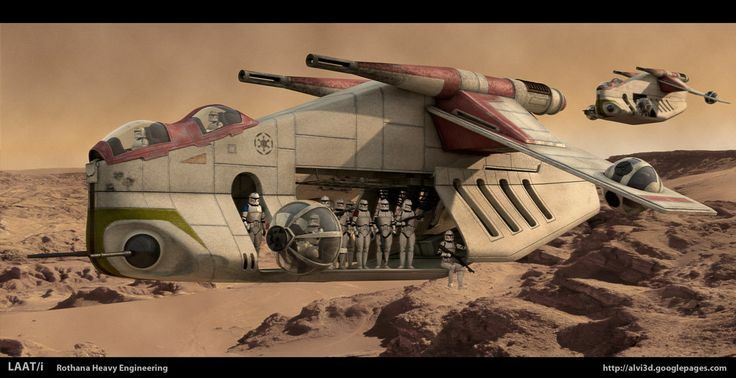 These tactical types of transport and their variants can fly over and impassably rough terrain to swiftly and safely disgorge an entire platoon of clone troopers, or haul a slower armored vehicle into position. Enemy fighters must always remain at high altitudes or surrender their speed advantage when pursuing gunships below the mountain level. 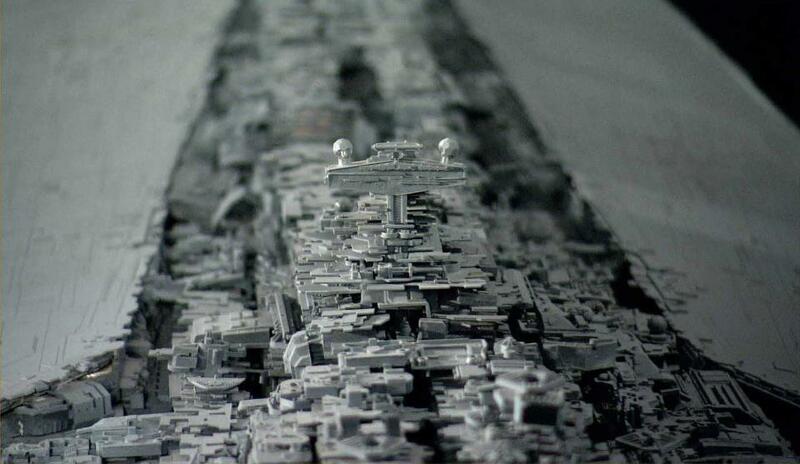 A Republic gunship’s entire gunship complement can deliver more than two thousand soldiers in each wave. 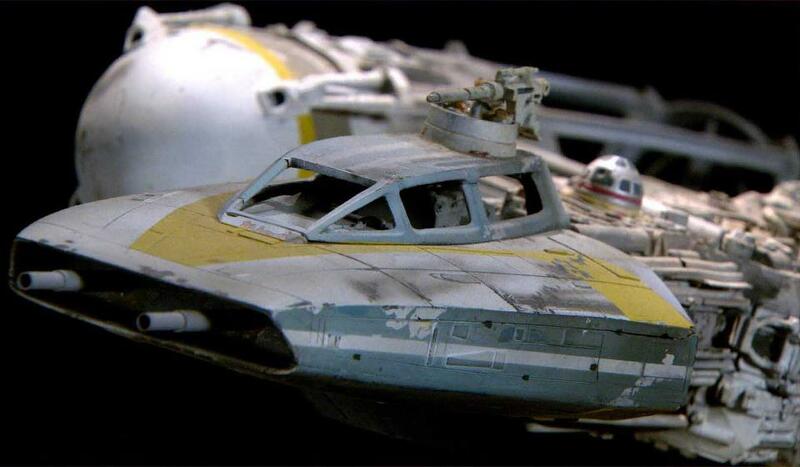 However, these flying troop carriers are versatile gun platforms in their own right too. They are lighter and faster than mobile artillery and most ground vehicles, yet still carry a considerable arsenal. Massive twin missiles launchers allow conserted over the horizon strikes on the slow or fixed targets, such as enemy artillery and fortifications. 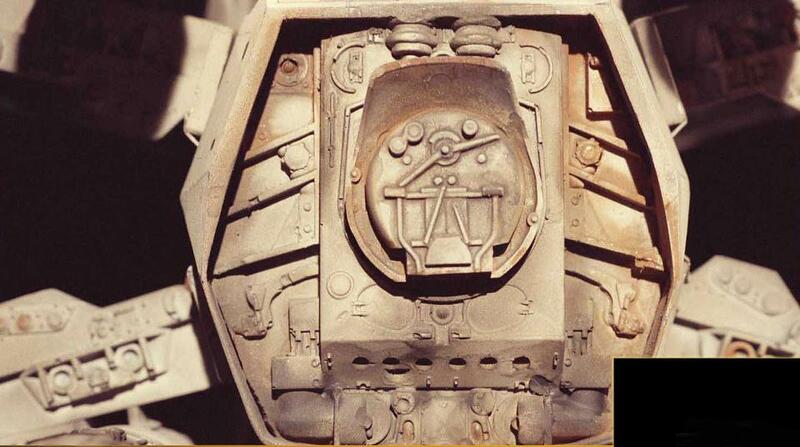 Two pairs of widely rotating blaster cannons defend the gunship with deadly precision. Finally, three chin and tail mounded laser cannons devastate enemy infantry and other light ground assets. The LAAT i Republic gunship’s use of missiles and energy weapons provides complementary benefits. Whereas a blaster can almost instantly hit anything within a clear line of sight, a missile may go around obstacles and over the horizon. Conversely, while a missile can sometimes be dodged or short down, an energy beam cannot be intercepted, except by shield absorption. Missile payloads are variable and mission specific, including simple omni-directional blasts, corrosive antimatter showers, electromagnetic pulse effects, sterilizing bursts of hard radiation, or concentrated thermal effects. The wing and armature mounted ball turrets enjoy a wide field of rotation in order to strike targets both above and below the horizontal plane. They are intended for defense against airborne hostiles. 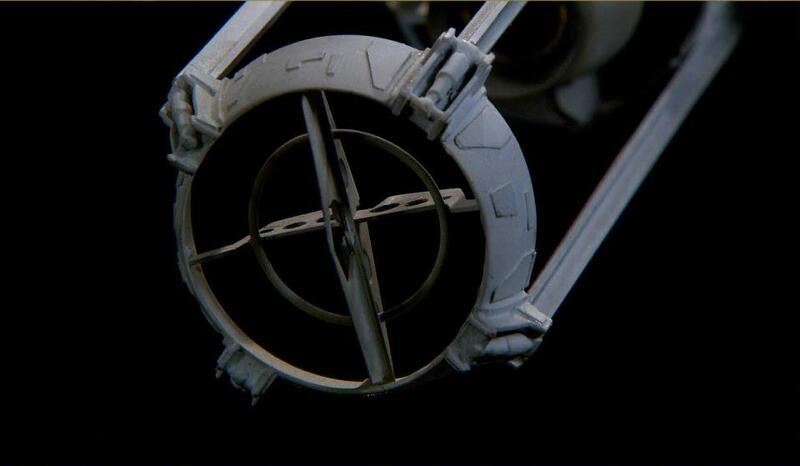 The merger of precisely synchronized tributary beams confers pinpoint aiming precision far beyond that of the turret’s physical rotation. These strategic transport craft and their variants are maneuverable enough to fly low and exploit the natural cover of Geonosis’ precipitous ravines and spires. Their long mass driver barrels can accelerate projectiles up to hypersonic velocities. Once launched, missiles engage self-powered flight along either a programmed trajectory or following encrypted guidance signals. Telemetry comes from either an orbiting mothership or signals routed from ground units within sight of the target, including advance Scout troops. A clone trooper’s full combat armor is the basis of an integrated system in which the Republic gunships are vital links. Individual troopers can receive command signals and relay status signals via this system. Troops share tactical video from their helmet visors, with multi-spectral imaging that penetrates smoke, fog on the airborne soil of the most explosive battlezones. The airtight and thermally regulated body glove is impervious to germ and chemical agents, and provides protection in space and hostile atmospheres. The armor’s heat resistance allows troopers to stride through the searing interfaces of theater shields like lifeless battle droids, as well as deflecting glancing blaster shots and damping direct hits enough to improve the wearers chances of survival. 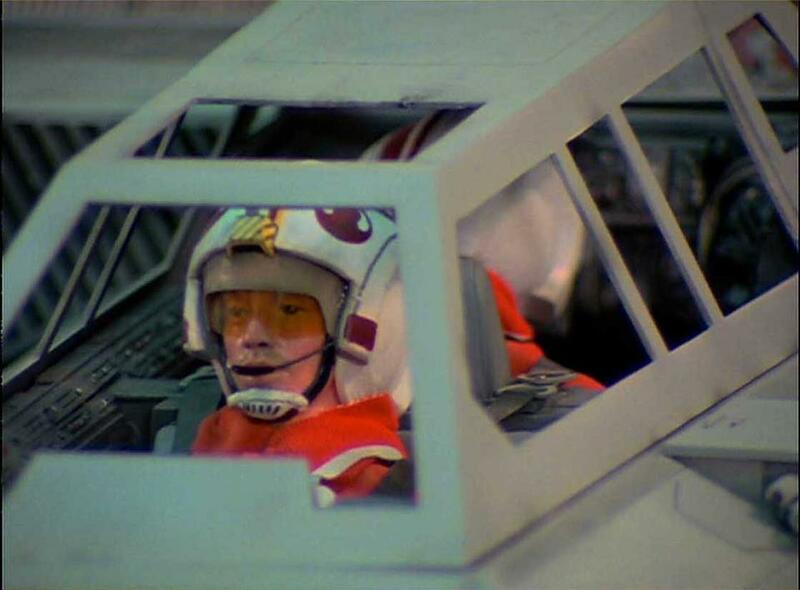 A rack of one-person military speeder bikes fits into the tail of troop carrier LAAT i gunships. 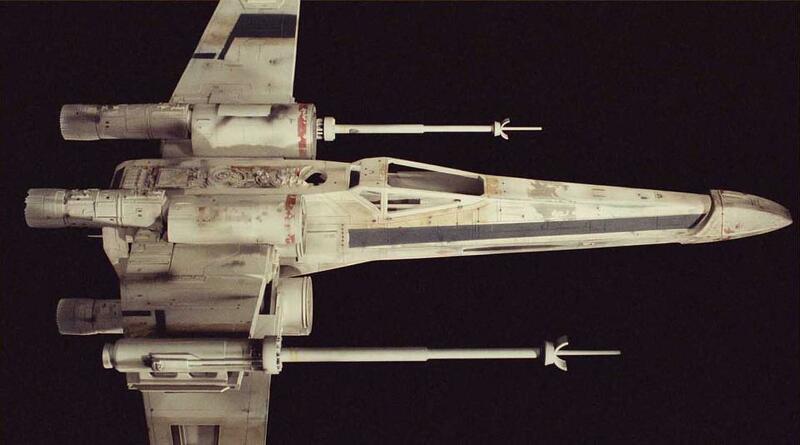 To deploy them, the Republic gunship descends to a sheltered and tactically useful site. Once below their altitude limit, these fast but relatively delicate scouts vehicles emerge from the rear hatch. Riders fly ahead for reconnaissance or to secure the flanks and wake of the battle lines. 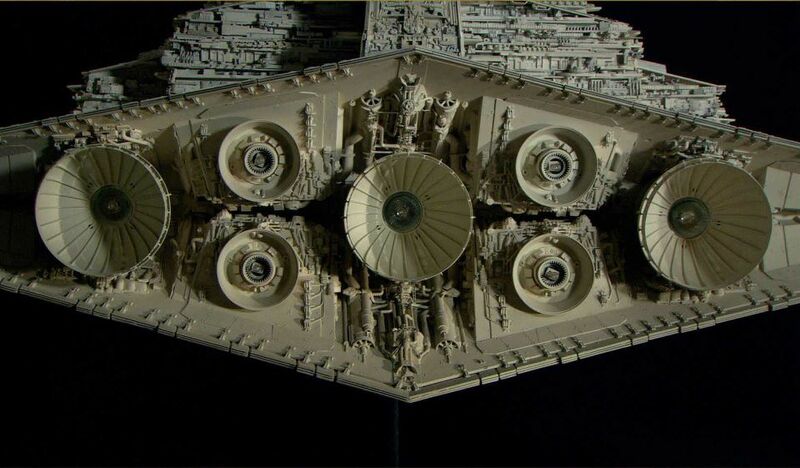 Fantastic zoomed in shots of highly detailed Star Wars Spaceship models made for the Original Trilogy movies. 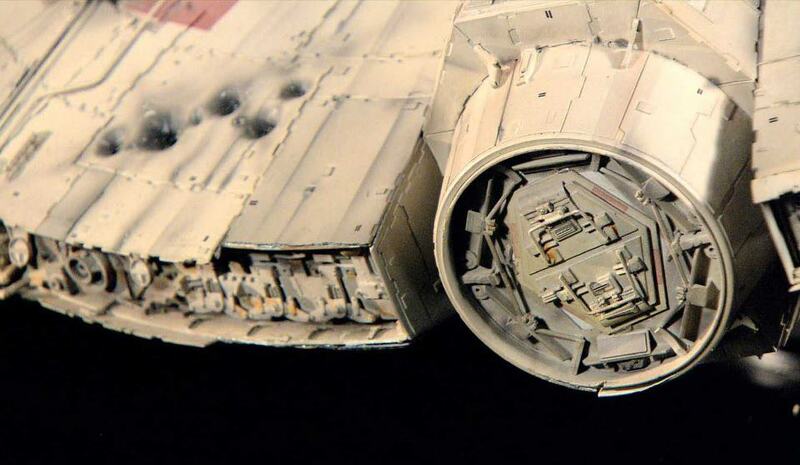 I stumbled upon this fantastic collection of photos of Star Wars spaceship models that show incredible detail that you might not have even seen in the movies. 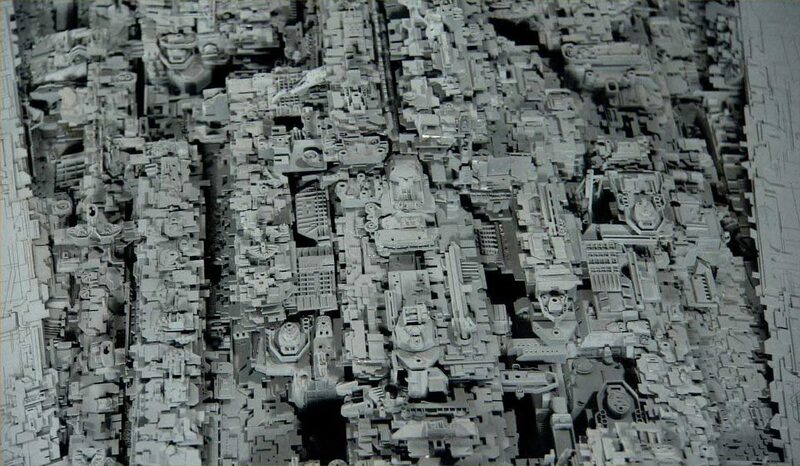 At their best, mode makers create houses and cityscapes and space ships so convincing, we believe they’re 100 feet tall when they’re only one, or a thousand feet tall when they’re really on a miniature set surrounded by other models. They build tiny houses in such awesome detail, we think they’re real when they explode into a thousand pieces. 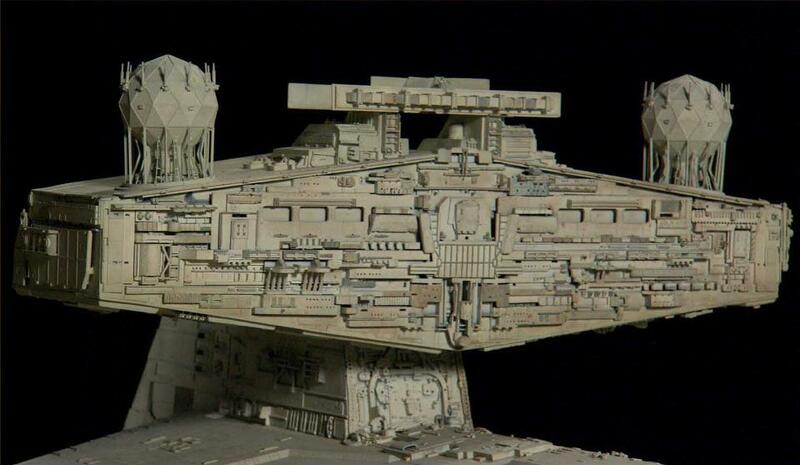 They build space ships so convincingly, we buy into the universe–even if, upon closer inspection, the white hot engines of a Star Destroyer look an awful lot like aluminium clip-on lights. 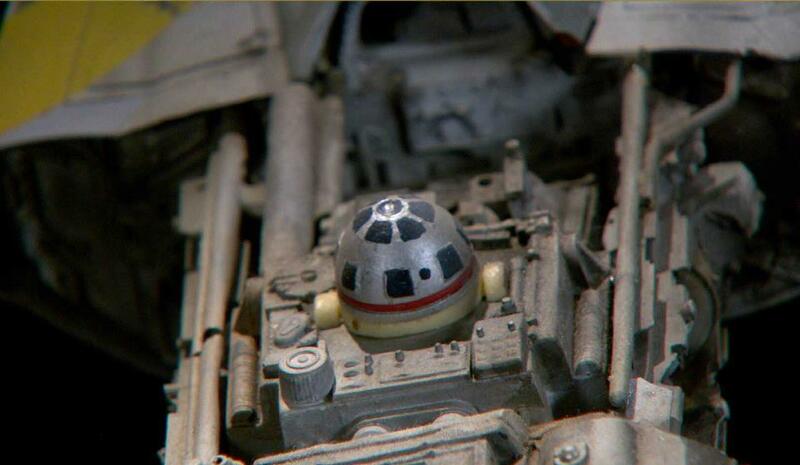 Or when R2-D2’s holo projector looks like the spitting image of a reading light from a vintage airplane. Or when Luke Skywalker’s lightsaber is a dead ringer for a 1940’s camera flash with windshield wipers stuck to it to serve as a grip. 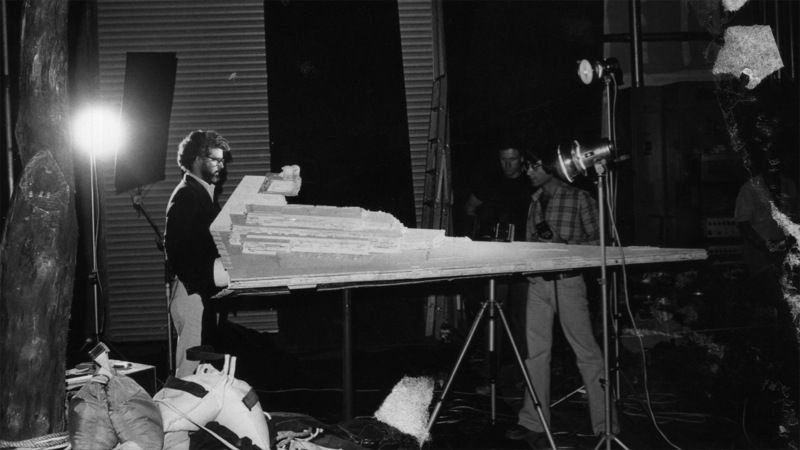 Bailey: I think the-all time iconic story for special effects came from Ken Rolston when we were working on The Empire Strikes Back. There’s a big asteroid belt scene, and Ken was our director of photography. And he put an Idaho potato in the asteroid belt. And we’ve seen it hundreds of times and could never spot it on the screen. And then on Return of the Jedi, the final battle scene has about 100 space ships or something flying around. One of those ships is Ken’s gym shoe. And once again, I’ve seen it dozens of times and I can never pick out his shoe. But it’s in there in the battle scene. 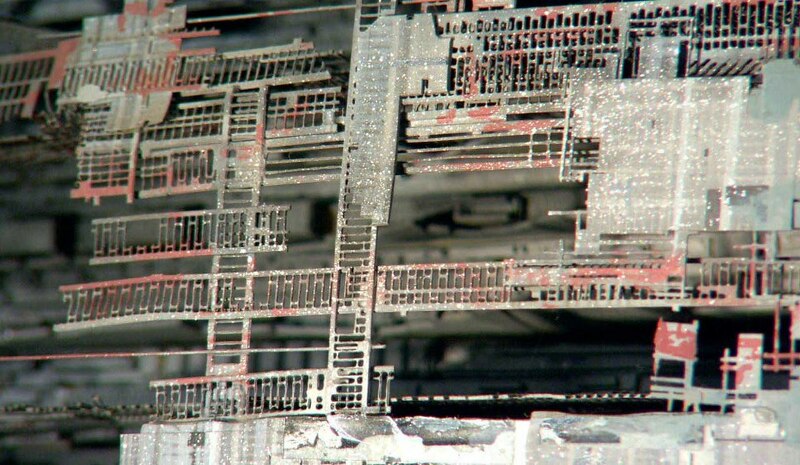 Peterson: I remember a story from the shield generator [in Return of the Jedi] now. Like I said, we always had to work on budget, so if you could find a way to save thousands of dollars, that was a great idea. There were pine trees, it was in a pine forest, so I thought, ah, instead of making all those pine trees, I’ll go to an architectural model store, and they had these, oh, 6-7 inch pine trees. I said, well, I’m going to use them at ILM, but I could bring them back exactly as they are. How about we make a deal, I’ll pay you a quarter of your price, and then I’ll bring them back and you’ll get to sell them for full price. They thought that was a great idea. I talked to the pyro-tech guys and said “The flame isn’t going to be very big, is it?” Cause these are just little lead tree trunks with foam on them. And they said oh no, we’ll contain it, it’ll just be over here. Don’t worry about that. I asked, you’re not going to come over to our part of the model, are you? The flames aren’t going to shoot over there? Well, pyro guys have restraint, but not necessarily as much restraint as model makers. The flame of course shot over, and they were lead, they had foam on them, they had spray glue, and a couple thousand dollars worth of miniature trees went up. I had to go back and pay full price. They weren’t going to get the little trees back. 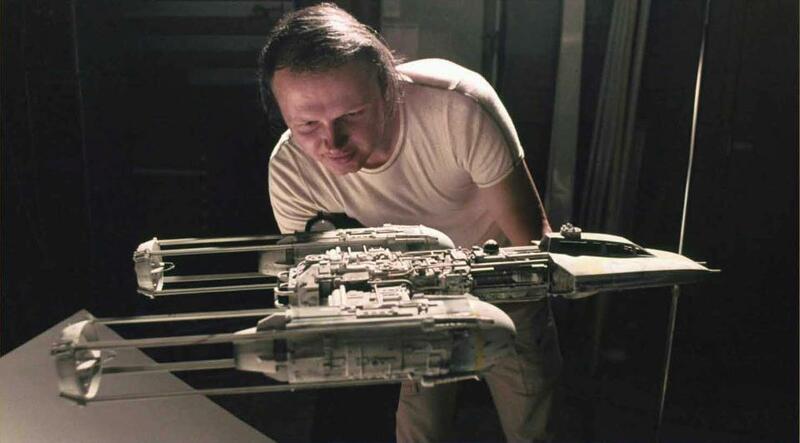 Bailey: My first job at ILM was to build the rocket engines for the big white Star Destroyer. 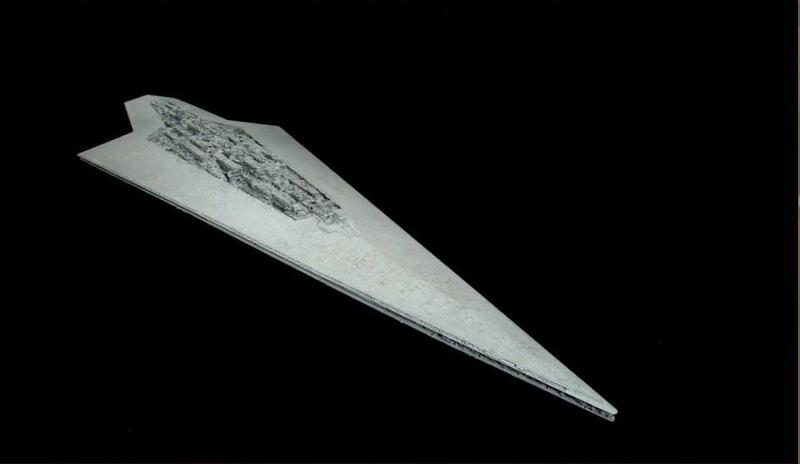 I went off to the hardware store to see what I could find so I wouldn’t have to make something, and I found some little aluminum clip-on work lights, took the reflectors off, put projector bulbs in them, decorated them a little bit and stuck them on the Star Destroyer. If you look closely you can see there’s a little aluminum reflector in there. 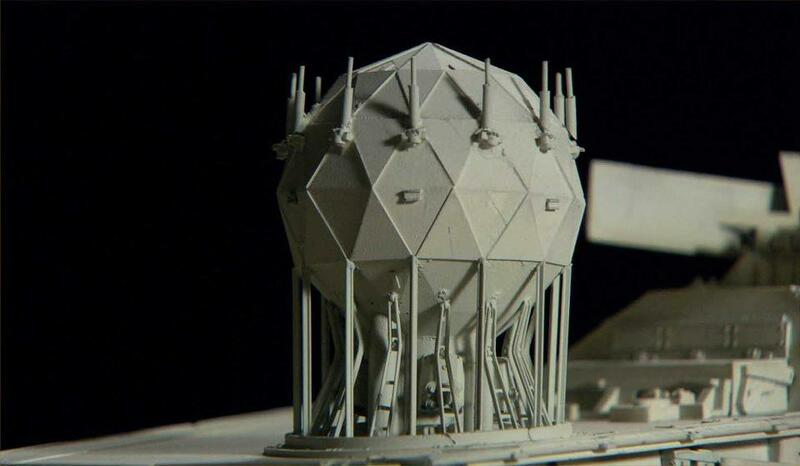 A couple years later I used the same concept on E.T.’s little spaceship. All the little domes around the ship are soup ladles of different sizes. Stainless steel soup ladles. It’s always fun to look at all these little details and see how we cheated. Bies: This one I wasn’t around for, but it’s been told, and I can’t verify it for sure. In the original Star Wars they filmed most of it in the UK, but when they came back George wanted to pump up the cantina sequence with the creatures and everything, so they hired Rick Baker and a team of essentially, at that time, stop motion artists, [including Phil Tippett]. 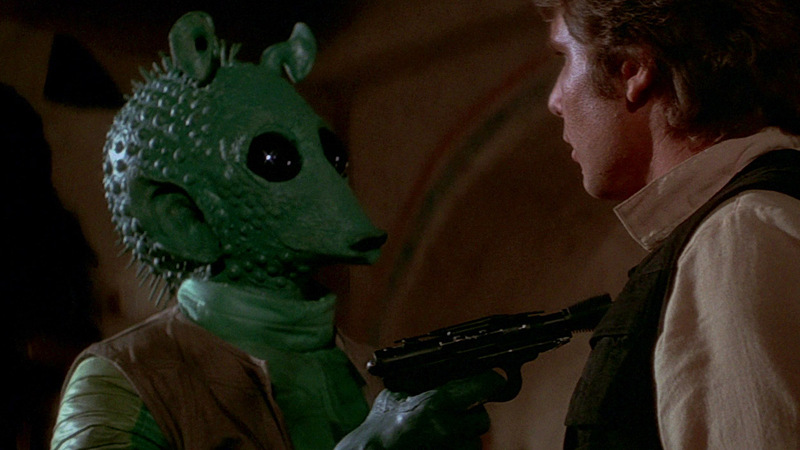 They also wanted Greedo to talk. They wanted his mouth to move…But the story goes that they were about to shoot it, the inserts with Greedo talking, but the little mechanism that moved his mouth broke. Quickly someone looked around, and there’s always what we call C47s, spring-loaded clothe spins, on set. So somebody pulled the mechanism out, hot-glued a C47 in there, put the other end in his mouth, and that’s how they made the mouth move. Peterson: Usually we build more interior than you’d originally think, for explosions, just in the possibility, in anticipation that something might show. Many times it doesn’t, the explosion covers it. An example of that is when the Ewoks crush the head of the chicken walker with the logs. We actually made two characters with helmets and all that kind of stuff and a little light inside. 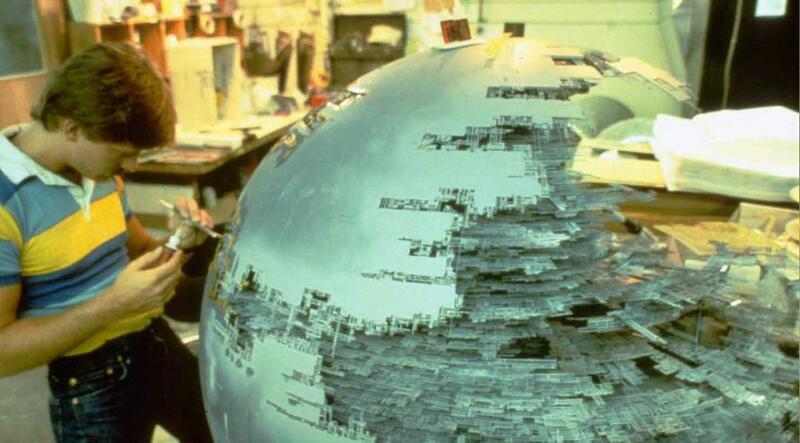 We sculpted one to look like George Lucas and one to look like the director of the film. They actually looked like them, because they were about 16 inches tall. The heads got crushed and you never saw them. Most of the time it wasn’t necessary, but every once in awhile we did at least a partial interior. 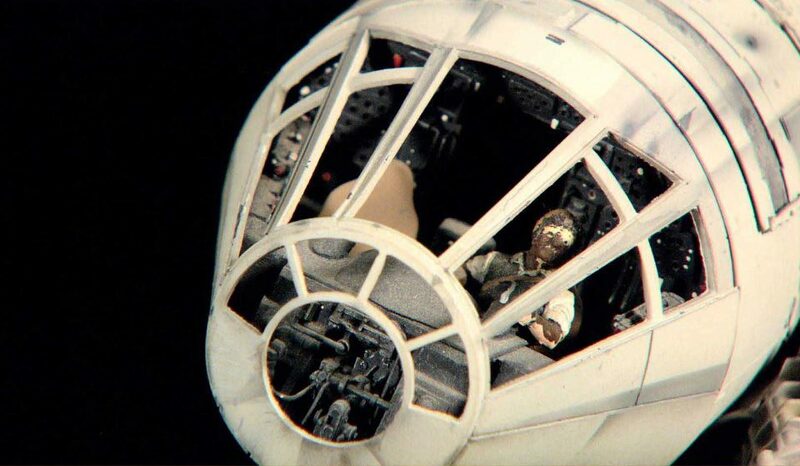 The 5 foot model of the Millennium Falcon used for the less acrobatic scenes. 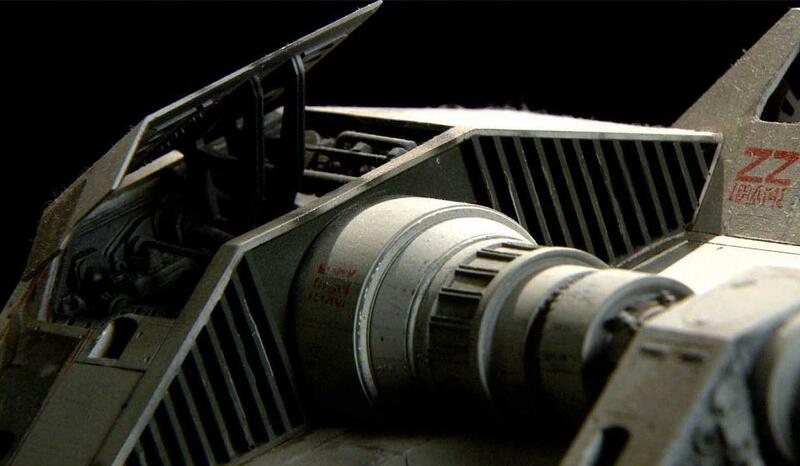 I’m sure you will agree, some of those close-up shots of Star Wars spaceships are incredible and show how much detail goes into the making of these made for movie models. 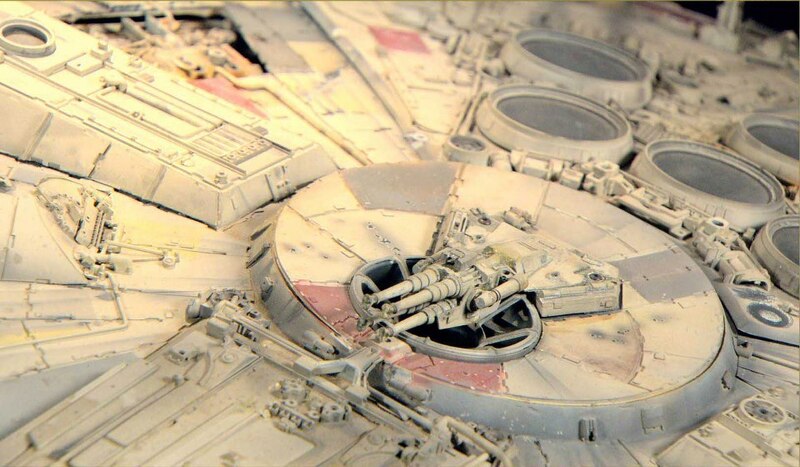 Are these models better than modern CGI? Let me know in the comments! The Star Wars Force Awakens TV advertising campaign has officially began. The first TV Trailer focuses on Rey unsurprisingly, showing yet more additional unseen footage from the movie. Han Solo braving a Ice world, not Hoth again? The Falcon crashing (flying) through trees. Rey shooting a blaster, at Kylo Ren? It has been a good weekend for Star Wars fans as two days ago the International Trailer showed us some awesome new footage including Chewbacca blowing stuff up and now we are being treated to yet more new scenes. Hopefully we will see even more new footage in what will surely be a series of TV ads in the run up to the movie release come December 18th. How many people did Darth Vader screen kill? Have you always wanted to know Darth Vader’s Kill Count or screen kill? The cleverly edited and strangely humorous video also includes Anakin Skywalker’s atrocities before he became Darth Vader. But you will have to watch the video to find out the total on screen kill count! But I can reveal that during the original trilogy, Vader got most of his kills from A New Hope, surprisingly performing few kills in Empire Strikes Back and Return of the Jedi. 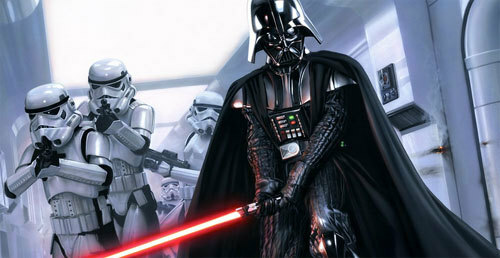 Yep, Darth Vader was certainly a badass, more machine than man, twisted and evil. Vader’s more controversial screen kills were The Emperor (Darth Sidious), The Younglings (Jedi Children), and Padme his beloved. Revealed today, this international trailer for the new Star Wars movie includes a ton of new footage! 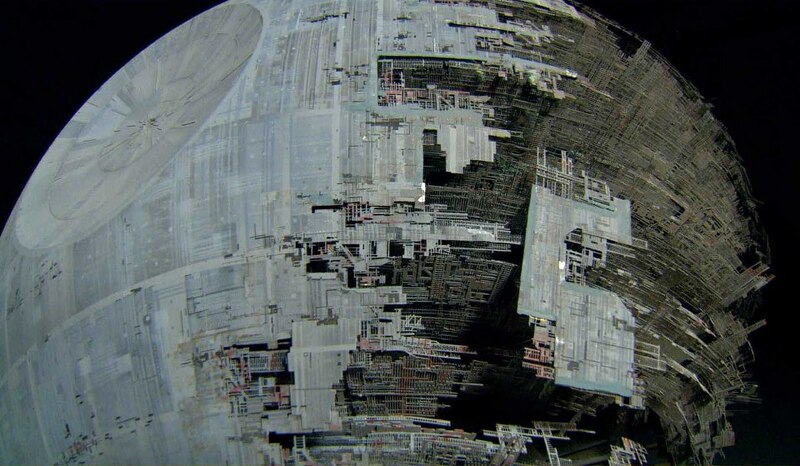 Just when you thought you won’t see any more footage of The Force Awakens before you actually see the movie, wrong! More footage of Rey checking out the downed space cruiser and also having a conversation with BB-8! Yet another pretty sunset shot in the desert! A Market shot in Jaku, featuring BB-8, Rey and Finn! Finn and Rey introduce each other! A very brief scene in a Resistance base featuring C-3PO and Leia! And Kylo threatens Rey with his cross guard lightsaber! The movie is release on December 18th, booked your ticket yet? Does Fox News and Carley Shimkus Really Hate Star Wars? Fox News and Carley Shimkus were caught hating the Star Wars films! Host Neil Cavuto declared his disdain for the science fiction movie franchise even though admitting that The Force Awakens has ALREADY broken the launch movie weekend box office record based on pre-sales alone. Also on the Fox News show was Carley Shimkus who said that Star Wars is ‘so over-rated, over-saturated’ and ‘unbelievably hyped’. Carley Shimkus also complained that ‘normal movie goers’ would not be able to get a ticket, because they have been sold out two months in advance! Does Fox News hate Star Wars? Do you agree with Carley Shimkus on Star Wars? Or do you support that poor Star Wars fan getting attacked from both sides? Carley Shimkus studied at Quinnipiac University. Her major was Journalism of course. She has worked for Fox News since 2009 when she started as a production assistant on Imus in the Morning. She also appeared on Red Eye several times. She is noted for her attractive looks, opinionated personality and ‘cool girl’ demeanor. Carley is about 30 years old and lives in New Jersey. Disney had just released a brand new movie poster for upcoming Star Wars movie The Force Awakens featuring Han Solo. The latest movie poster features our favorite smuggler and scoundrel, now rather aged but sporting a new Blaster! 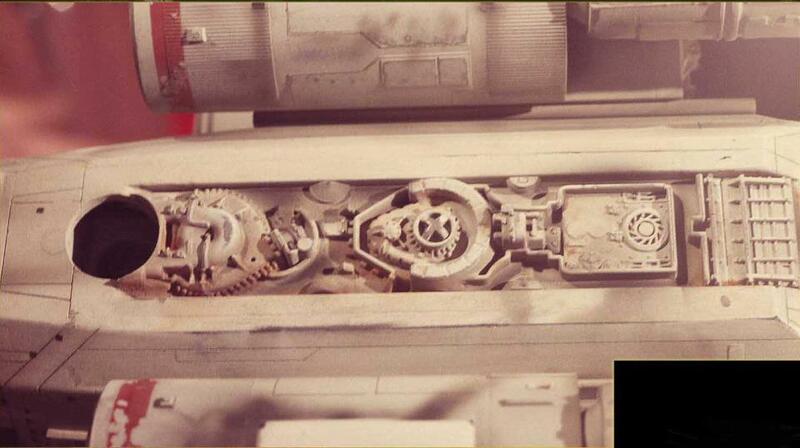 This new blaster looks similar to Solo’s usual DL-44 Heavy Blaster hand gun, except one major difference. This new blaster has a side mounted barrel sight, presumably added to facilitate Solo’s shorter eye sight, given his older age! The DL-44 comes with a top-mounted scope fitted as standard, but Solo had it removed to assist his quick draw. If you want to learn more about blaster technology, click here.